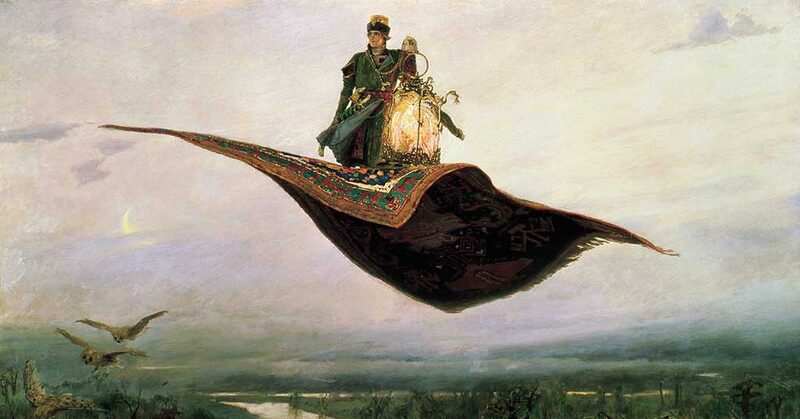 They appear in Middle Eastern stories like One Thousand and One Nights (also known as Arabian Nights), in Slavic folk stories about Baba Yaga and, of course, in all manner of modern children’s stories, from Tony Abbott’s The Hidden Stairs and the Magic Carpet to Aladdin. 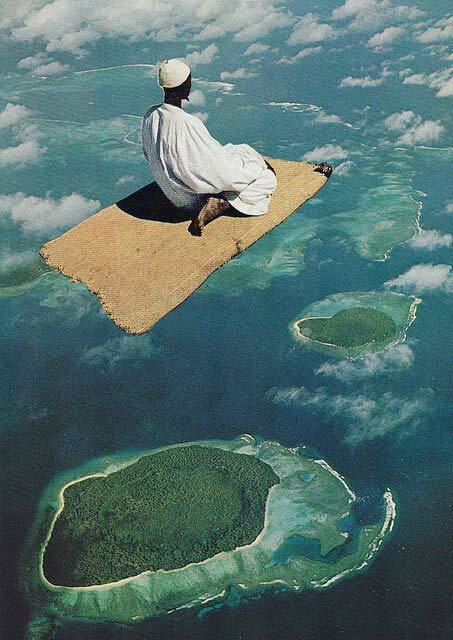 But it’s not only in literature that magic carpets appear. 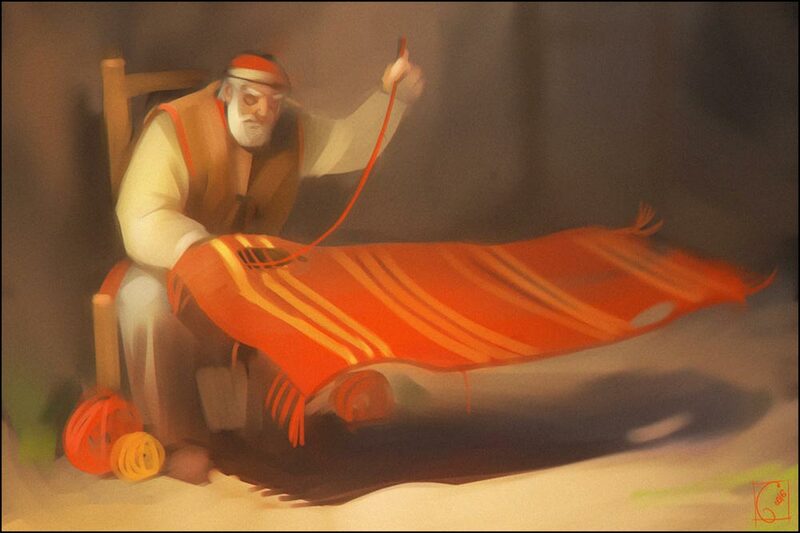 They’ve also been depicted in artworks through the ages. 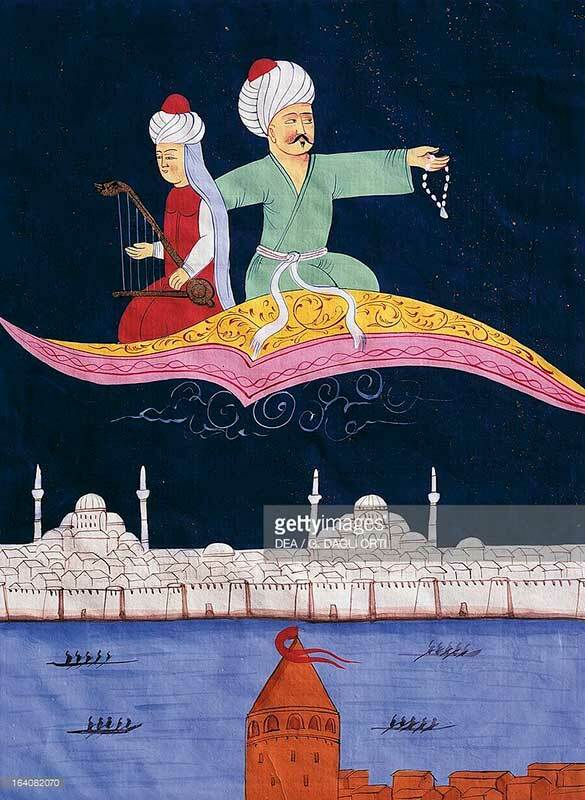 A depiction of a scene from One Thousand and One Nights on a 19th-Century Ottoman manuscript from Istanbul, Turkey. 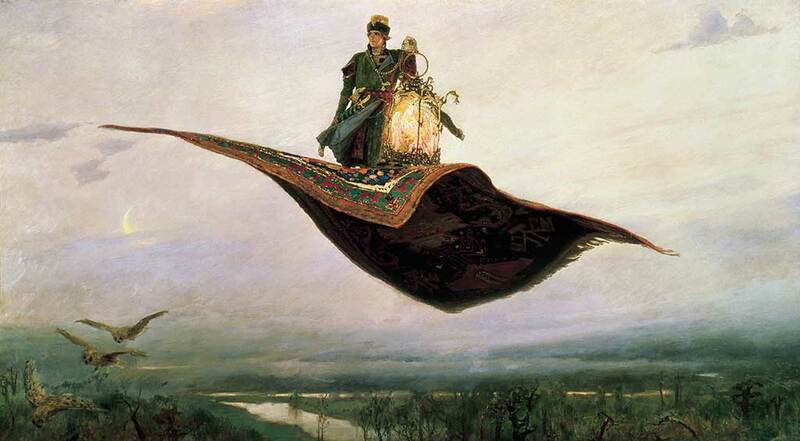 The Flying Carpet, an oil on canvas by Russian painter, Viktor Vasnetsov, 1880. 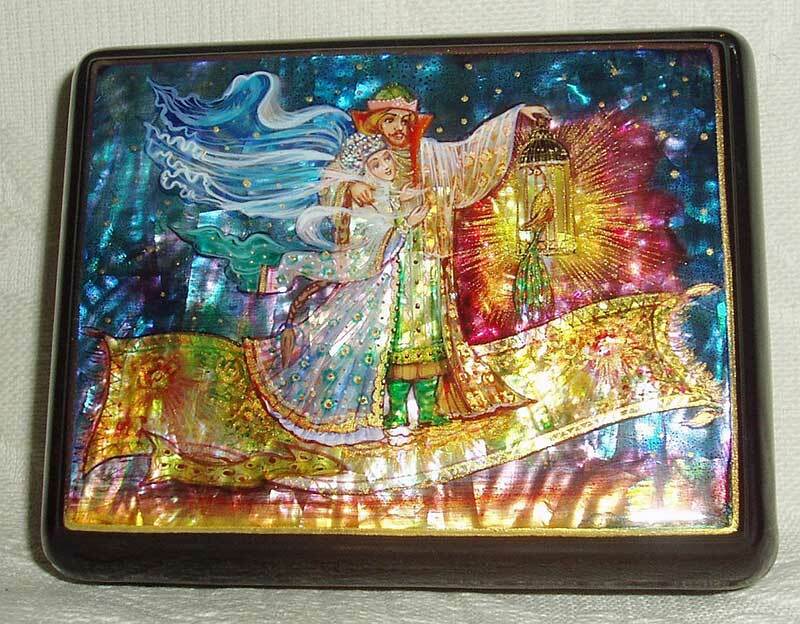 A traditional Russian Fedoskino miniature, painted by Frolova on a lacquer box. 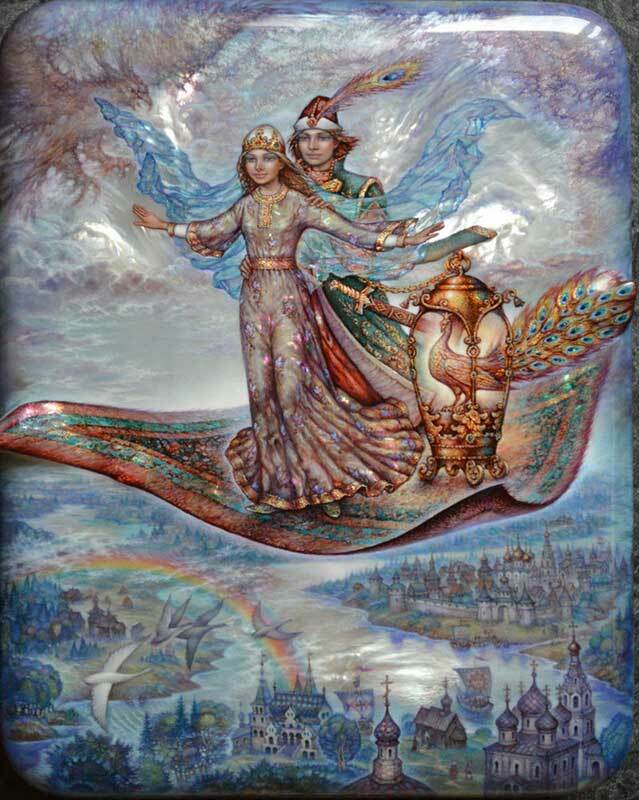 It depicts a scene from the fairy-tale Ivan Tsarevich and the Firebird. 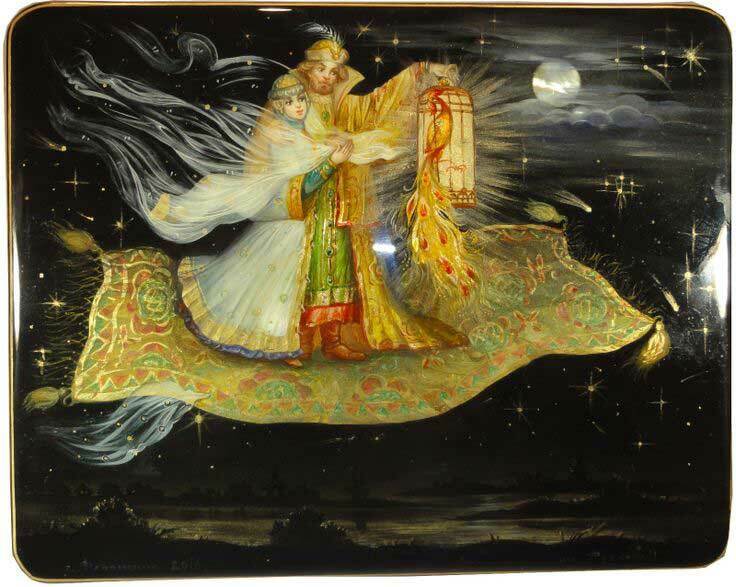 Magic Flying Carpet, another Russian lacquer box, hand painted and with mother of pearl. 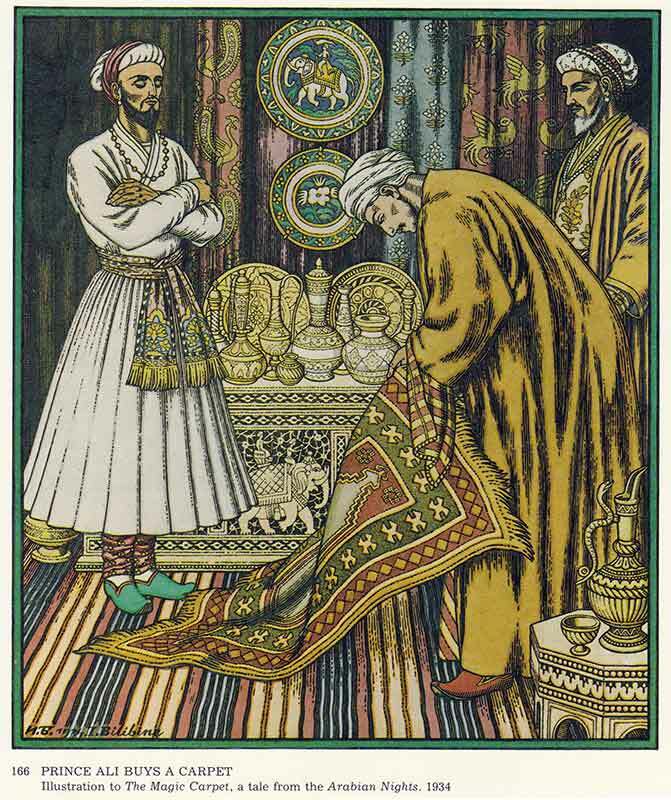 Illustration for The Arabian Nights, by Soper (1900). 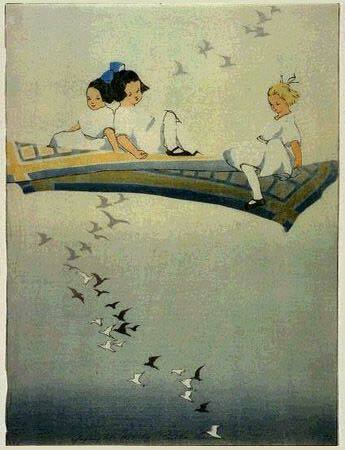 Magic Carpet by US artist, Bertha Lum, 1912. Lum is known for her Asian-inspired woodblock prints. 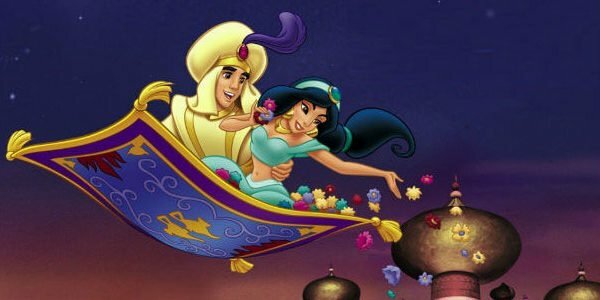 The magic carpet in 1001 Nights. 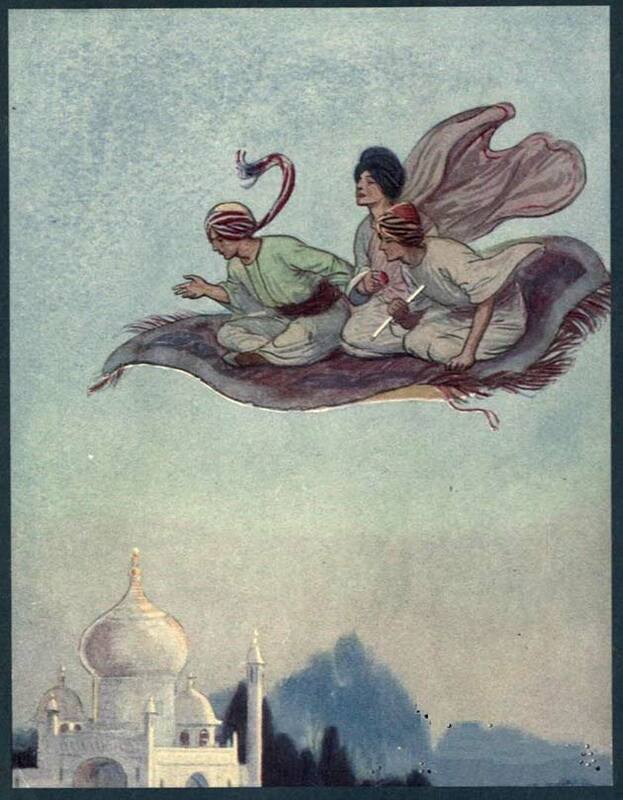 Illustration for The Magic Carpet from Arabian Nights, 1934. 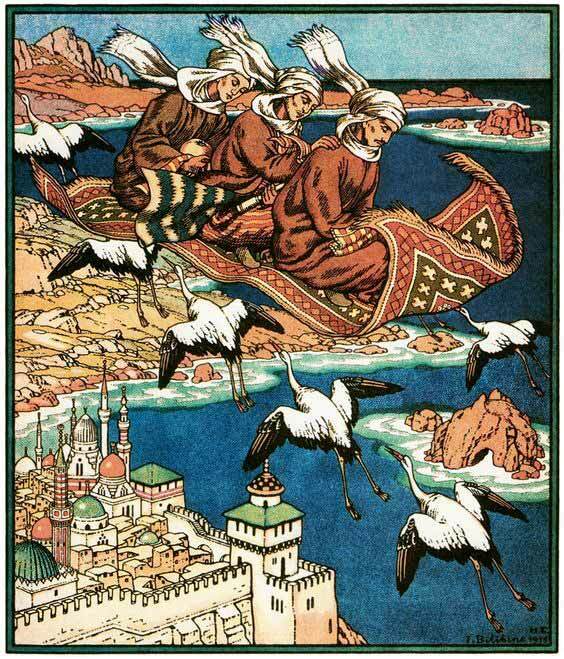 Illustration for The Magic Carpet by Russian artist, Ivan Yakovlevich Bilibin, 1935. 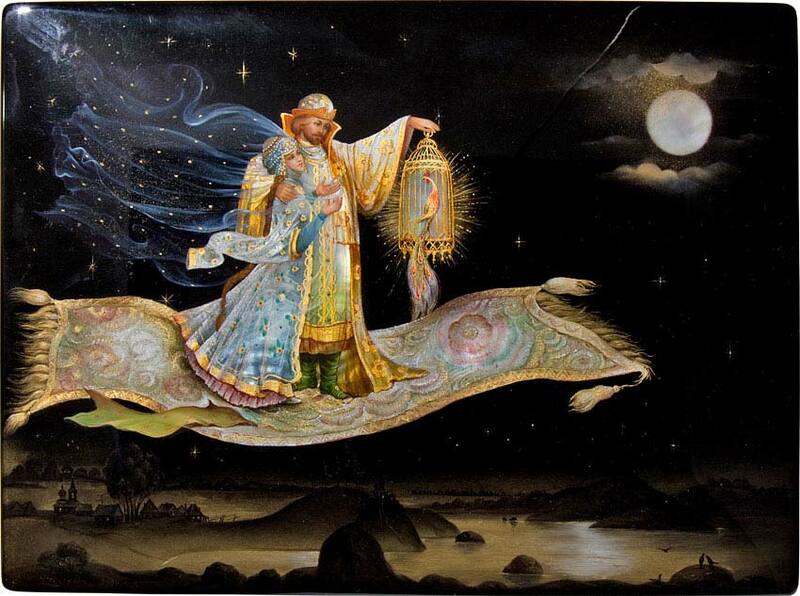 The Magic Carpet, a Fedoskino (miniature lacquer painting) by Sergey Knyazev. 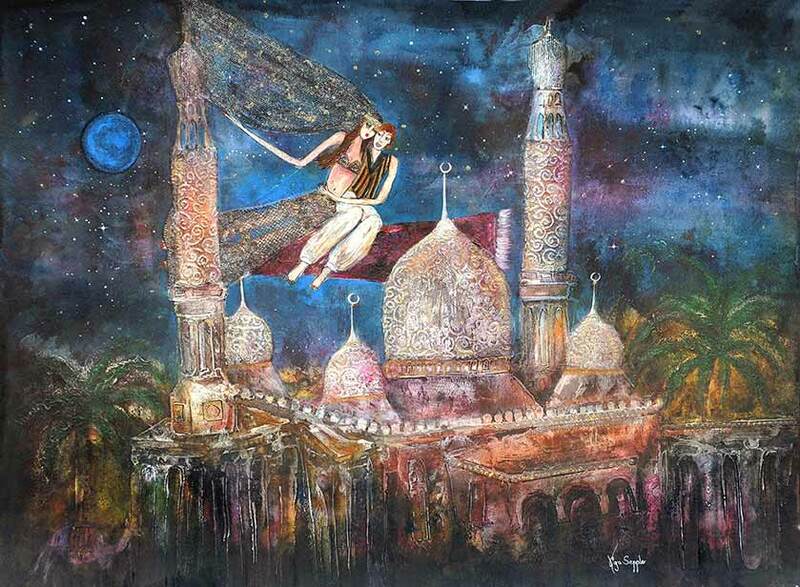 Night On The Magic Carpet by California-based artist, Caroline Urbania Naeem. 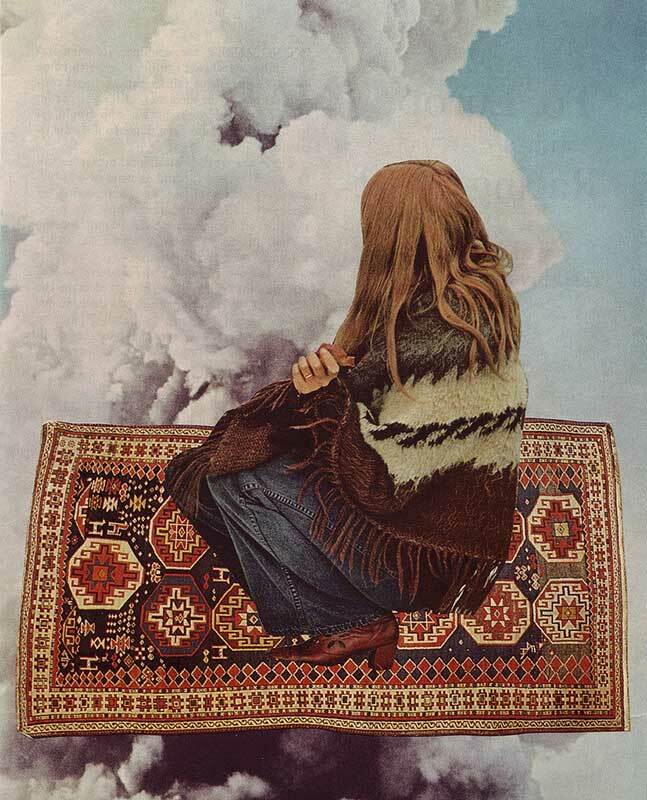 Magic Carpet Ride, painted by UK artist, Rosa Sepple (born 1951), with brushes on cardboard. 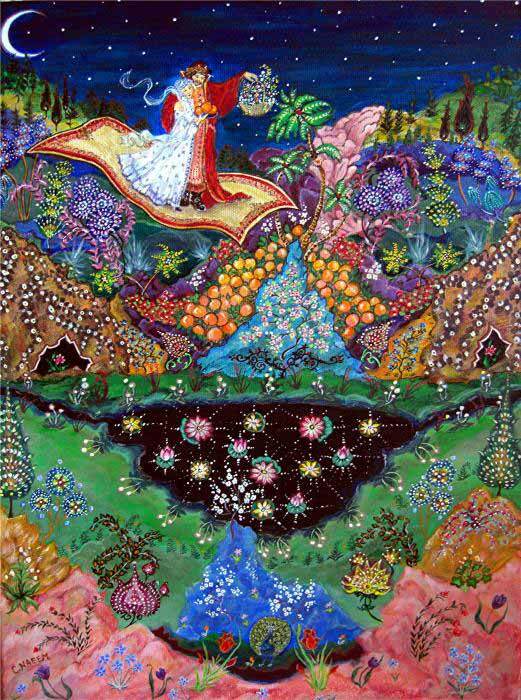 My Flying Carpet by Spanish artist, Madhalsa Manu, known for her earthy, mystical images and mandalas. She also works in glass. 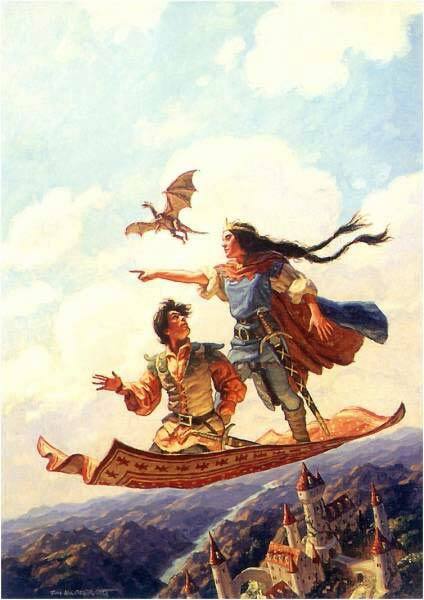 Illustration from Searching for Dragons, by Tim and Greg Hildebrandt. 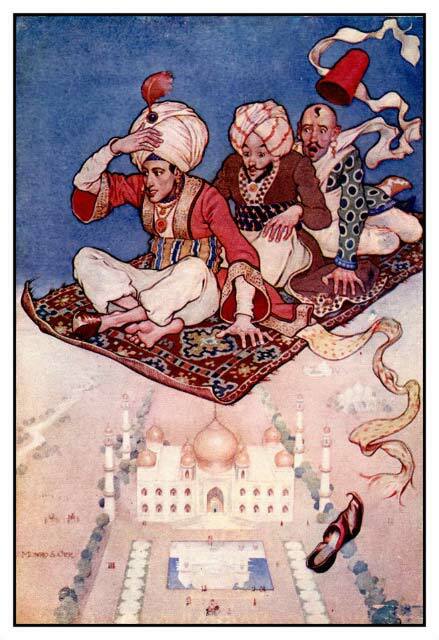 Ali-Baba and the Flying Magic Carpet by Anne Anderson. 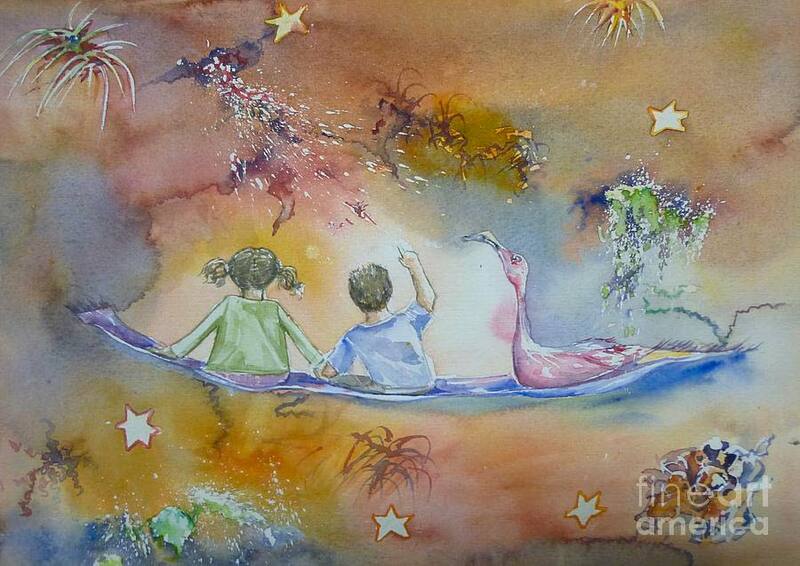 The Flamingo and the Flying Carpet by Donna Acheson. An almost surreal collage by Argentine collage artist and musician, Mariano Peccinetti. 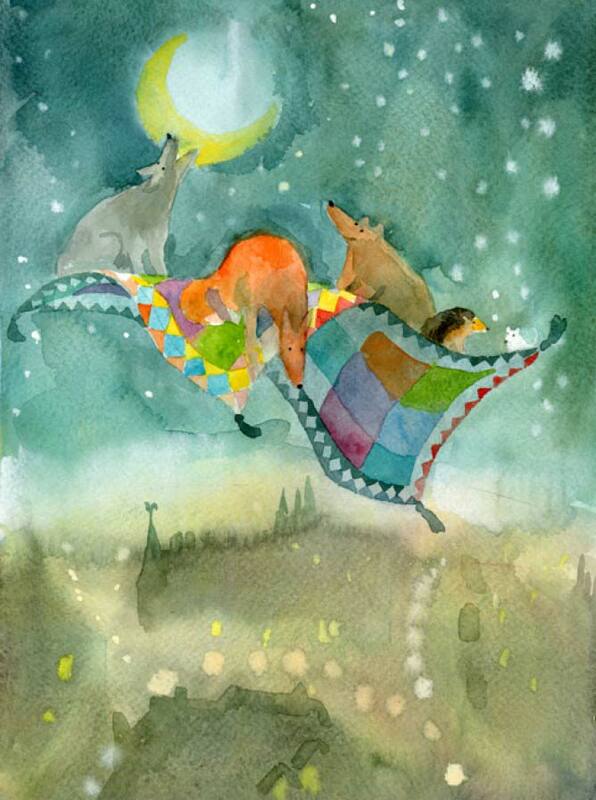 Illustration from Magick Carpet, by multidisciplinary US artist, Beth Hoeckel. An oil on paper by contemporary Russian artist, Ilya Volykhine, 2014. 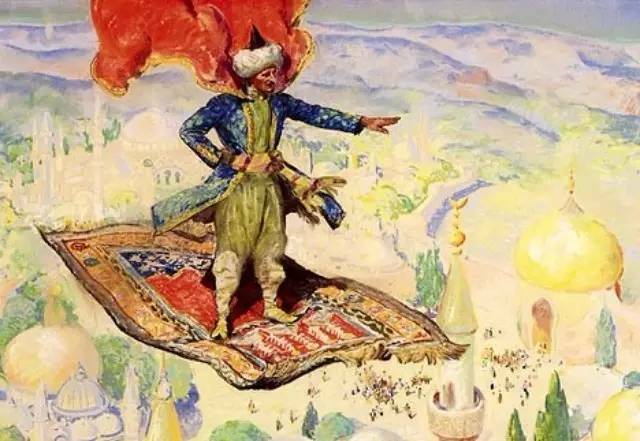 Illustration for The Magic Carpet, by Bulgarian muralist and illustrator, Anna Shuttlewood. 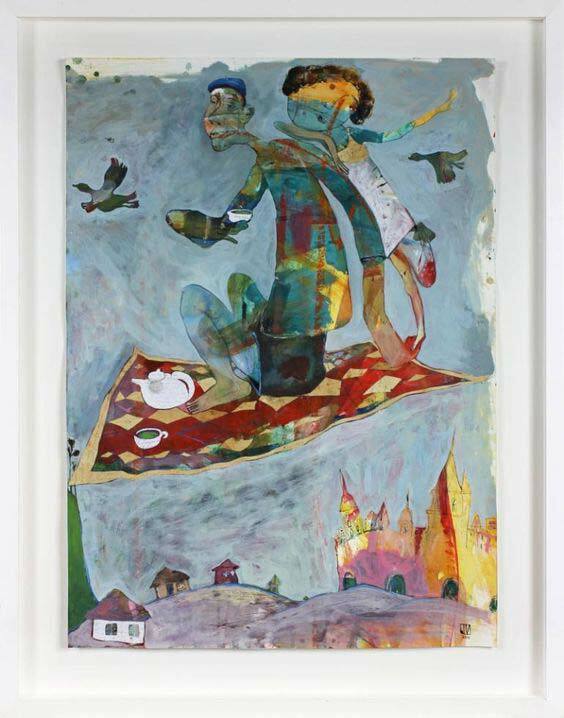 Repairing Magic Flying Carpet, by Russian artist Alexandra Khitrova (who also calls herself GaudiBuendia), 2016. 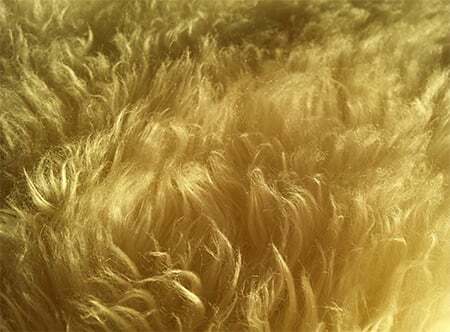 At Chelsea Cleaning, we don’t offer artworks or advice about them – but we do love carpets! 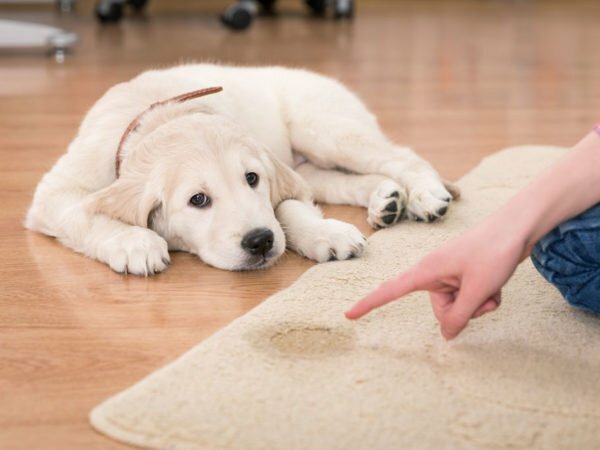 We offer professional, affordable cleaning of all fitted and loose carpets or rugs, as well as expert cleaning of upholstery, curtains and mattresses. Contact us for more information or a quotation and we’ll be happy to help.